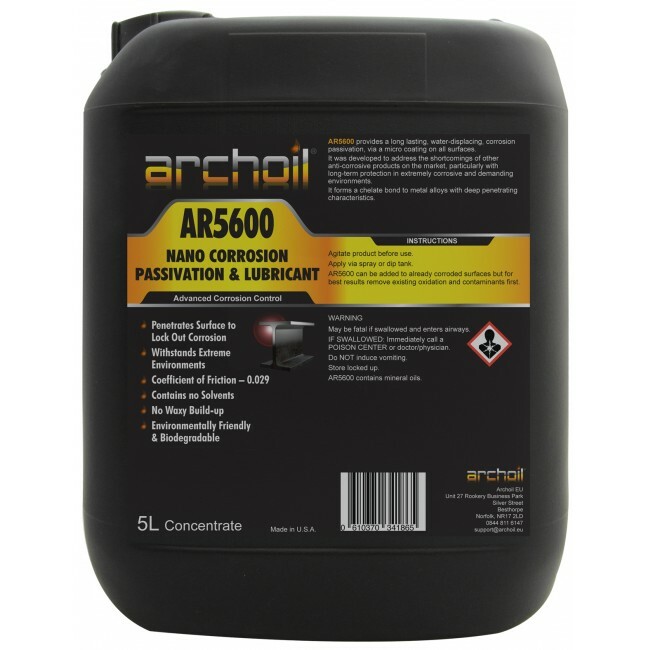 Archoil AR5600 is a water-displacing / corrosion-inhibiting lubricant. It forms a chemical bond to metal alloys with deep penetrating characteristics. 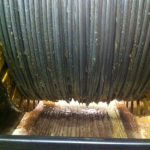 Archoil AR5600 is developed to provide stable and particularly long-term protection for steel wire ropes in extreme corrosive or washing environments. Available in fluid or aerosol. Archoil AR5600 is a water-displacing / corrosion-inhibiting lubricant. It forms a chemical bond to metal alloys with deep penetrating characteristics. This new technology is the culmination of over 30 years experience and development in the field of corrosion control and lubrication. Archoil AR5600 is developed to provide stable and particularly long-term protection for steel wire ropes in extreme corrosive or washing environments. Archoil AR5600 is designed to withstand demanding maritime environments in, on and around the water, excelling in ultra-deep or extremely warm or cold environments. The chemical bonding prevents pressing or washing out much longer than the current traditional oils, greases or bitumen available on the market today. Together with the extremely low coefficient of friction that Archoil AR5600 provides under heavy loads and pressures, AR5600 extends the lifetime cycle of steel wire-ropes in any environment significantly. AR5600 can be applied during production of the wire ropes, can be applied on new, already finished wire ropes and on used wire ropes. The bonding process will not be blocked by the individual strands, so all surfaces will become treated. 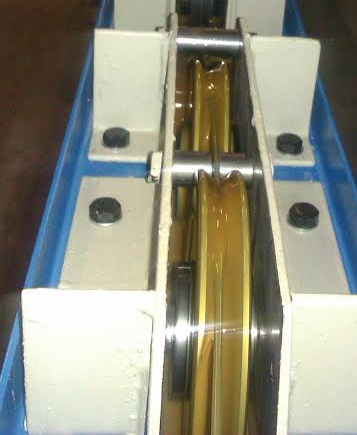 AR5600 can be applied on rusted or heavily corroded steel wire ropes. Heavy rust can be removed by the use of an Archoil 5100 rust remover bath for esthetic purposes. 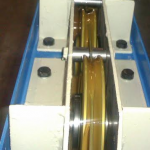 AR5600 can be applied on wet or dry steel wire ropes. 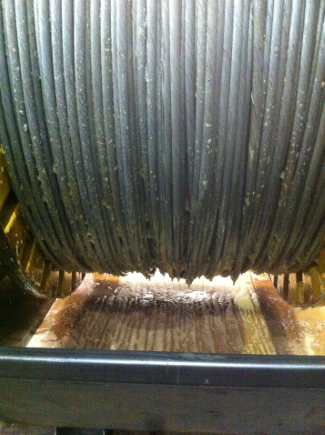 Note: There is less spill on dry wire ropes. Rule of thumb: Allow for amount used approximately 1% to 1.5% of cable weight. So 1000 kilograms of cable-weight uses 10 to 15 kilograms of Archoil AR5600. Apply by means of soaked cloth, brush, sprayer or bathing. Operate in a well ventilated area, wear gloves and glasses. Wiped off AR5600 can be re-used. · Archoil AR5600 is to be handled with protective gloves and eye/face protection. Ventilation: Apply in ventilated area. Archoil AR5600 has a shelf life of 5 years. Store Archoil AR5600 between temperatures of 0° Celsius and 35° Celsius. Archoil AR5600 is available in 5 liter, 20 liter, 60 liter, 208 liter and 1,000 liter packaging.